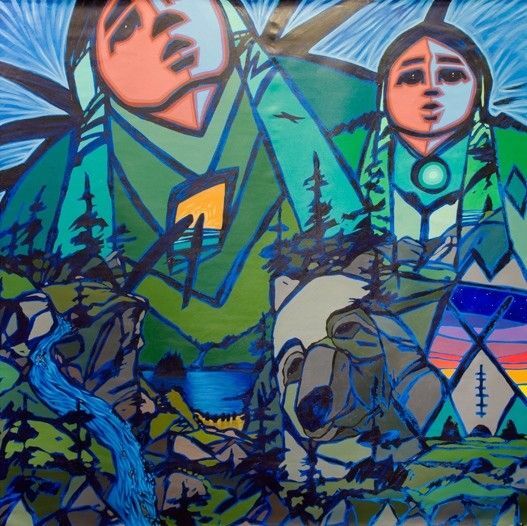 Home / 5' by 5' Painting by Jerry Whitehead (Cree). 5' by 5' Painting by Jerry Whitehead (Cree). Acrylic paint on canvas. 65" by 65" Stunning original by Jerry Whitehead. Click to read about Jerry Whitehead.